The school aims to introduce an extensive and balanced curriculum to enable all learners to develop the qualities and skills needed in their future lives. The curriculum implemented in the school is a combination of the principles of National Education System and global best practices so that learners not only develop patriotic feelings but also cultivate a wider global outlook from a very young age, which enables them to become confident and competent to face challenges in real life beyond the high school. The medium of instruction and communication from PG to XII classes is English except for Nepali lessons. 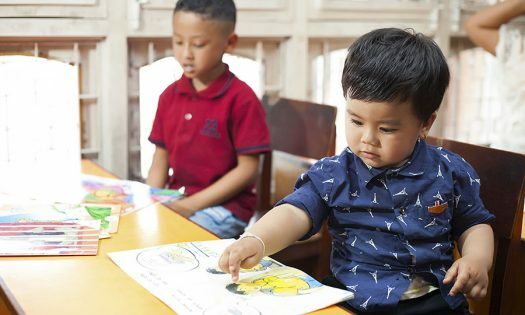 Besides English and Nepali, a third language (Chinese) is also offered from grade V.
Samriddhi early childhood program emphasizes child-centric, self-directed learning and is concerned with the ‘whole child’ its intellectual progress as well as its social, emotional, creative and physical wellbeing. It provides children with a rich and stimulating environment in which proper learning can occur. 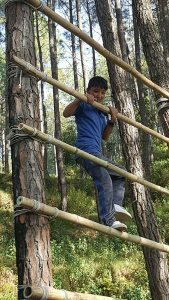 Concrete experiences in a number of areas are provided for children of this age to learn by doing. The goal of the primary curriculum is to lay a strong educational foundation. It is broadly based and takes into account the fact that each one enters the formal education with different level of readiness. The curriculum is planned to develop in the students a respect and love for learning, while equipping them with a foundation of strong basic skills. Emphasis is laid on building up language skills in English. Through projects and by learning with head, heart and hand the students will develop all aspects of their personality. 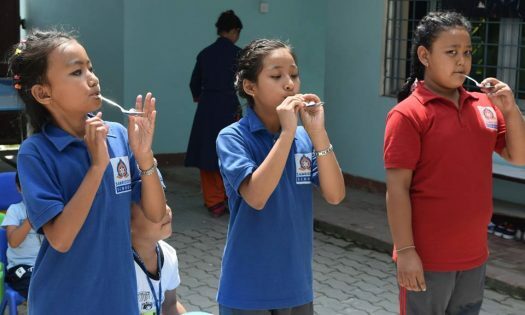 Students are taught subjects like English, Nepali, Mathematics, Science, Social Studies, Computer Studies, Moral Science, General Knowledge and Health Education. Variety of sports will be introduced to the students according to their interest and ability. Similarly a wide range of co-curricular activities will also be provided for their overall development. The Lower Secondary school (VI – VIII) is a smooth transition from Primary to Secondary School. The regular syllabus for every subject of standards V to VIII is as prescribed by the Ministry of Education, but additional syllabus is framed by the teachers themselves- embracing overarching vision of all rounded development of the students. The students of IX and X are prepared for SEE (Secondary Education Examinations). 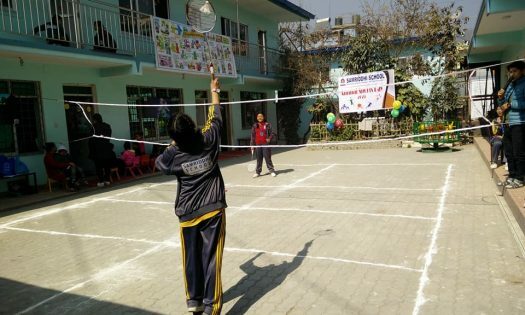 Besides English, Nepali, Mathematics, Science, Social Studies, Computer Studies, Moral Science, General Knowledge, the students are introduced to advanced level Mathematics and E. P. H. (Environment Health & Population) and various co-curricular activities like Club activities etc. The project work, as an approach aimed at enhancing overall learning outcome is an integral part of the curriculum. It supports and extends the innate curiosity of the child and develops the attitudes and skills necessary to gain an understanding of the world around. The Language-Lab and the Mathematical Lab help in an innovative manner to sustain the interest and to develop the language and mental ability of the child. In addition, students take exploratory courses and acquire proficiency in a skill offered through the Hobbies program. During the period the students acquire and reach a satisfactory level in physical education, a third language, community service and value education. Students learn in a caring environment where freely express their ideas. This creates a stimulating learning environment for all. The education program is constantly modified according to the needs of the students and the changing times. This program not only equips the children to enter colleges but also prepare them with skills that they need to help them shape for the future role as a global citizen.